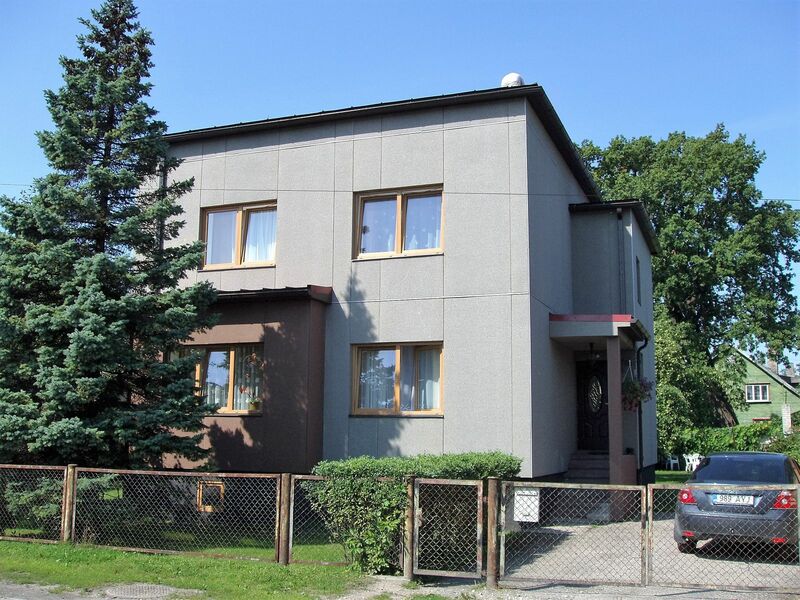 A comfortable 2 bedroom apartment with amenities in the centre of Pärnu, on the first floor of a block of flats (no lift in the house). Peaceful neighbourhood. There are shops, various services, market, restaurants, pubs in the vicinity. Water park, sanatoria, SPA's are within walking distance. 10-20 min walk to the popular beach. The apartment consists of a living room with open kitchen, two separate bedrooms, shower room+WC. Two TV's. Music centre. Dishwasher. Washing machine. Dryer. Massaging shower. The apartment is for max. 7 people (6+1 beds). Parking in front of the house under the window (free). 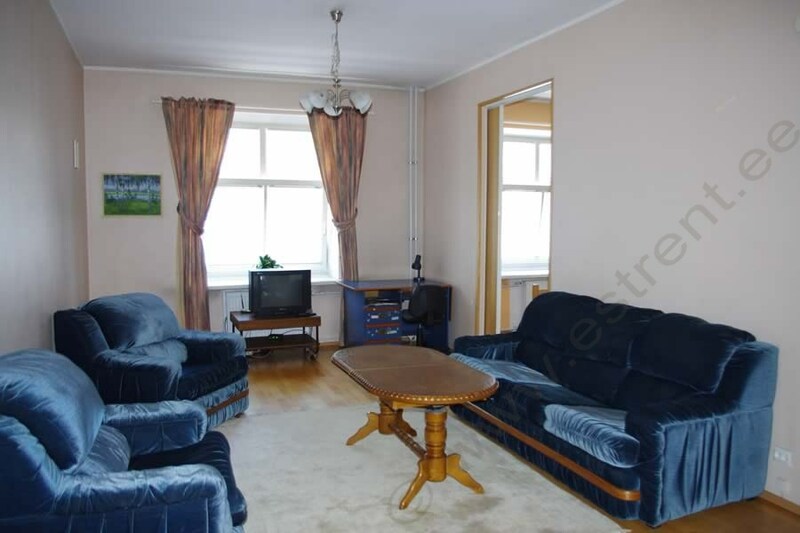 A roomy 2 bedroom apartment in the centre of Pärnu on the ground floor of a private house. 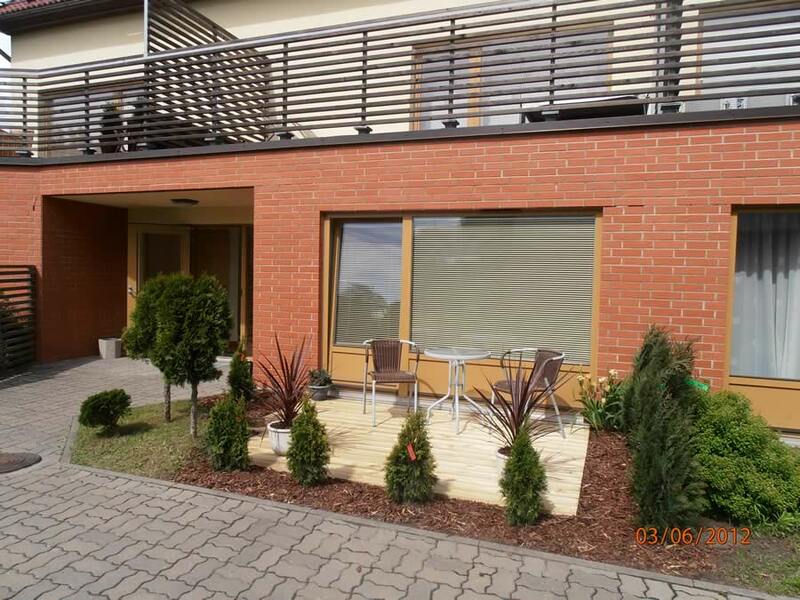 10-15 min walk to the most popular beach in Pärnu. There is a shopping centre with various services, pubs, restaurants, museum, sanatorium, water park, market, sauna in the vicinity. A children's playground is 2 min away. The apartment consists of 3 separate rooms (living room + 2 bedrooms), kitchen. Shower room + WC. The apartment is for 8 people. Possibility of up to 4 additional places for additional fee. The house has a large (1000 m2) closed garden. Possibility of sitting, sunbathing, barbequing. A 2 bedroom apartment with amenities on Saaremaa - in Kuressaare, one of the most popular summer holiday destinations in Estonia. The apartment is located right in the centre of town where everything one needs for a holiday is within easy reach - in approx. 100 m radius there are tourism info, shopping centres, SPAs, pubs-restaurants, Bishop's Castle. The beach is 1 km away. 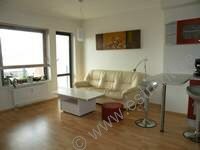 The apartment has an area of 48 m2, and is located on the third floor. There is no lift. 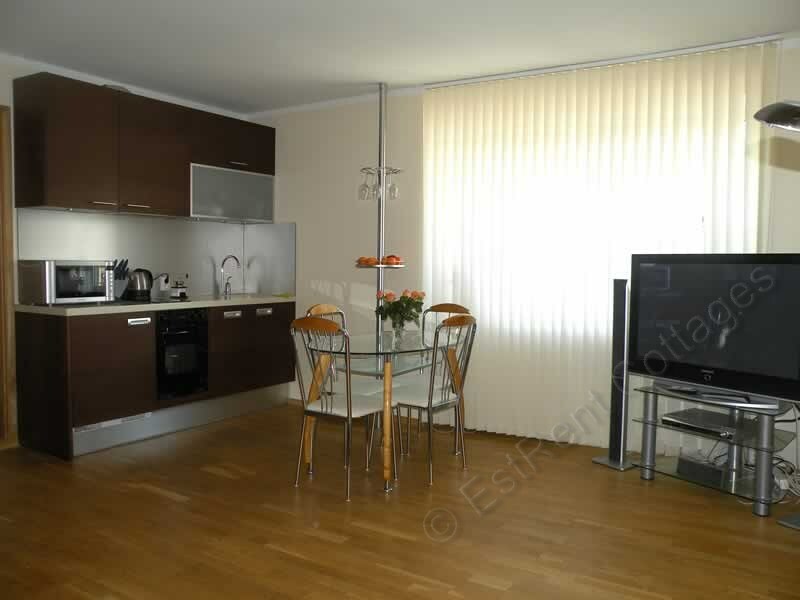 The apartment consists of a living room with open kitchen, two separate bedrooms, shower room. There is room for max. 6 persons: bedrooms have beds for altogether 4 people, additional places are available on the couch and madrass, if needed (included in the price). Parking behind the house (free). Taxistand directly in front of the house. A roomy and modern Holiday Apartment for max. 5 persons in the popular beach area of Pärnu. The beach, old town, numerous restaurants and other freetime activities are all within walking distance. The apartment is located next to the old market place of Pärnu (view to the market). The house has a closed yard and a small palyground for children. The apartment consists of a living room with open kitchen, bedroom, shower room+WC. TV. Internet connection for own computer. Washing machine. Balcony. 1 additional bed available, if needed (additional fee). Parking in front of the house in the closed yard (1 parking space, free). A Holiday Apartment for max. 5 persons in the vicinity of Pärnu central area. Pärnu beach area is within 5-7 min and city centre 30 min walking distance. The sea shore is within 5 min walking distance. The apartment is located on the ground floor of a five-storey building. The apartment consists of a living room, bedroom, kitchen, separate WC and bathroom. TV. Washing machine. Possibility of ironing. Parking in front of the house (free). A 2 bedroom apartment with all amenities for max. 5 persons in Pärnu. The apartment is located on the first floor of a five-storey building. The apartment consists of a living room, 2 separate bedrooms, kitchen, balcony, separate bathroom and WC. In the bedrooms there are bed for 4 people (2+1+1). Possibility of 3 additional beds (couch, couch/bed, 1 addtional bed) is in the price. TV (SAT-TV). DVD. internet for own computer. Washing machine. A very good bus connection to the city centre (bus stop 200 m from the house). Pärnu river is only 400 m away. There is a footpath along the river. 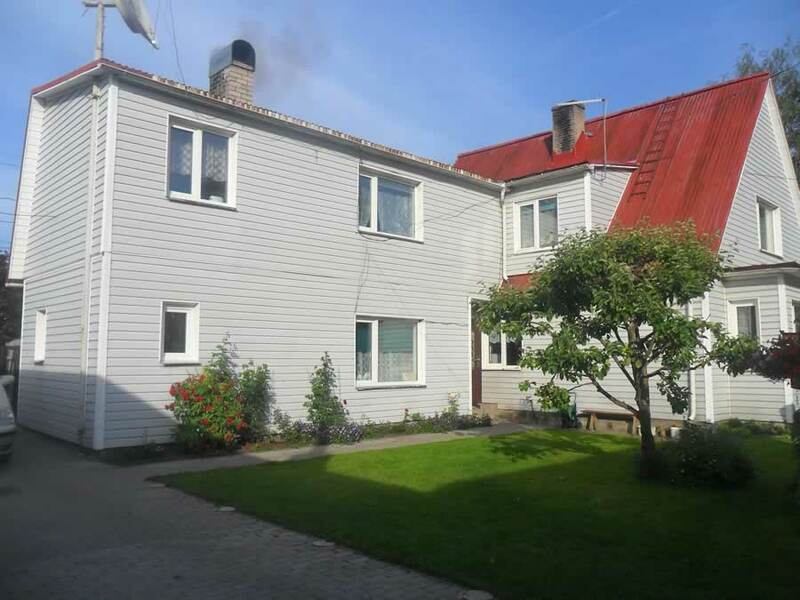 A 2 bedroom apartment (½ of private house) for 7 people is located in Haapsalu, in a very quiet and nice neighbourhood of Paralepa. 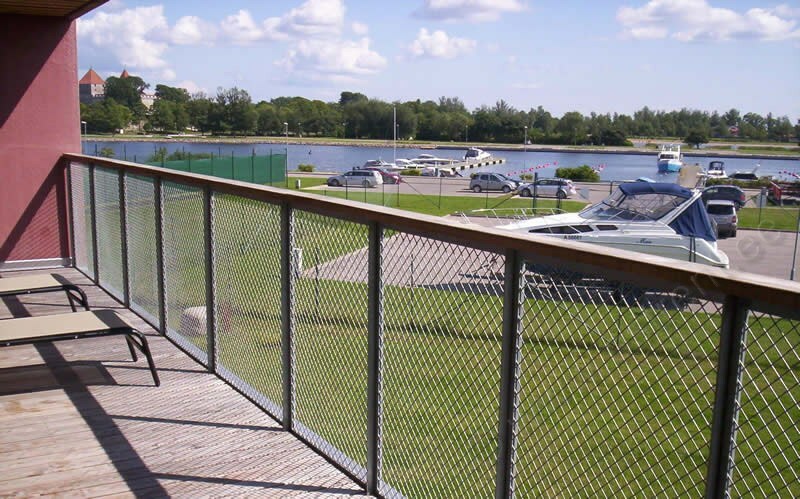 The distance to the centre of Haapsalu is 1,5 kms and to the sandy beach only 500 m.
The apartment is on two floors. It has its own entrance. On the lower floor there is a living room, kitchen, WC. On the upper floor there are two separate bedrooms. There is also a shower room and a separate WC on the same floor. There are beds for 7 people (incl. in the price). Possibility of 2 additional beds (additional fee), if needed. TV. Internet for own computer. Possibility of ironing. Pets are allowed. Parking next to the house in a closed yard. 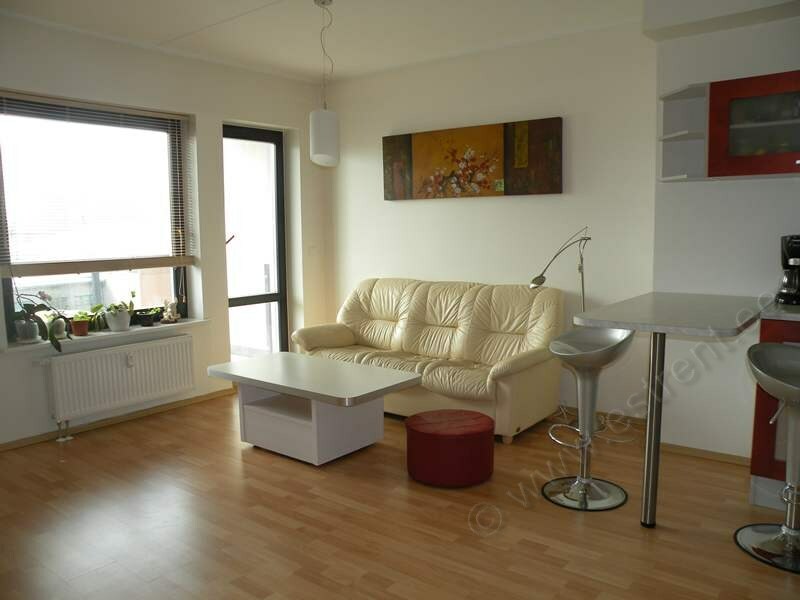 A 2 bedroom apartment for 6 people in the centre of Tallinn, only 5 min walking distance from the Old Town. There are plenty of pubs, restaurants, venues for concerts and other events in the neighbourhood.. A large shopping centre is within walking distance. Good connections to different parts of Tallinn. The apartment is located on the 1st floor of a block of flats. 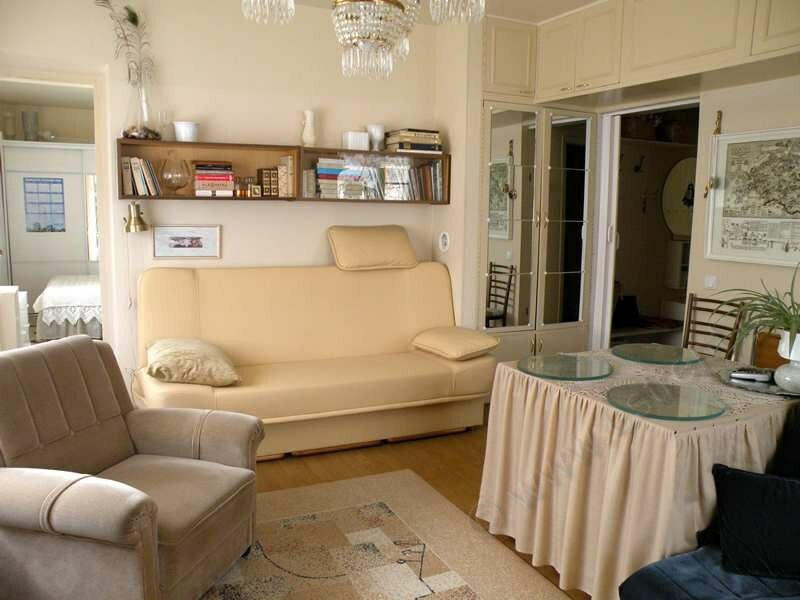 The apartment consists of a living room, two bedrooms, a separate kitchen, bathroom+WC. 4+2 beds. TV. Internet connection for own computer. Washing machine. Bathtub. 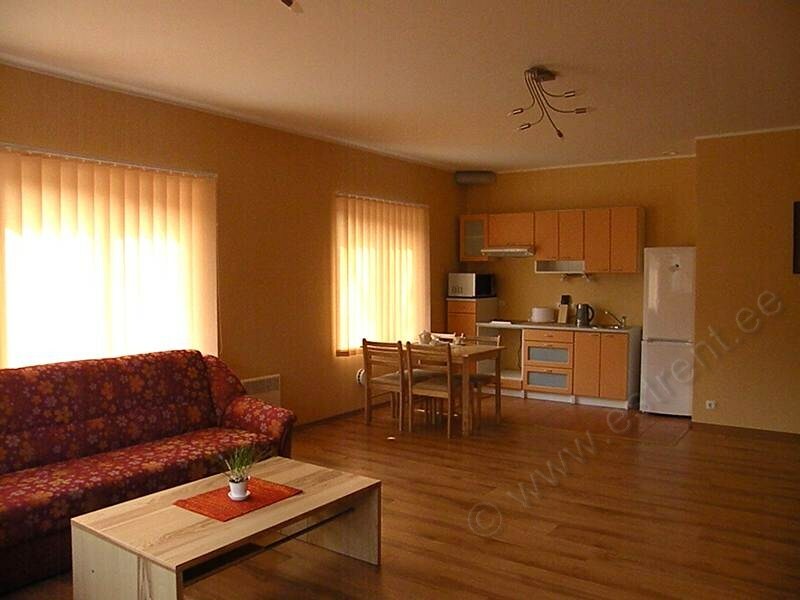 A bright 1-bedroom apartment for 5 people in Pärnu. The apartment is on the 1st floor of a five-storey builging. The apartment consists of a living room, bedroom, kitchen, bathroom and WC. SAT-TV. Music centre. Internet for own computer. Washing machine. Good bus connection to the city centre. Pärnu river is 400 m away. There is a lighted jogging path along the river. 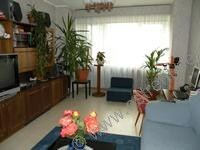 A bright and spacious Holiday Apartment for 6 persons in Pärnu in a very quiet and safe neighbourhood at the end of a small street. There is a small forest and a nice park for walks nearby. Nearest possibiloity for swimming is ca. 500 m away. The largest beach, as well as city centre, are approx. 3 kms away. The apartment consists of a living room with open kitchen, bedroom and shower room+WC. Altogether there are 2+4 beds: a broad double bed, 2 additional places on a couch/bed, 2 extra beds. TV. Internet for own computer. Washing machine. SAUNA. Possibility of barbequing. Good bus connection to city centre. A Holiday Apartment in the BEACH AREA of Pärnu. The apartment is on the second floor of a six-storey house. There is a lift! The apartment consists of a living room with open kitchen, bedroom, bathroom. Access to balcony from the living room. Altogether there are 2+3 beds. Parking next to the house in a closed parking area (1 parking place, free) and in front of the house (free). The most popular beach in Pärnu begins within a 5-8 min walking distance. Water park is 150 m away. Old town with its numerous pubs, restaurants and shopping centres is also within 15 min walking distance. Possibility to rent a private house up to 8 people on the second largest island in Estonia – Hiiumaa. 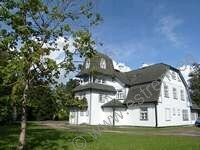 The house is located in the centre of Hiiumaa – in the small town of Kärdla, in a quiet neighbourhood. The sea and and the nearest beach for swimming is only 900 m away. The apartment is on three floors with a separate entrance. Fron the ground floor there is a staircase to the first floor where the kitchen , living room, 3 bedrooms, shower room and sauna are located. Second floor is a cosy attic-storey wit a combined open living room+bedroom. Altogether there are 8 beds (if needed, possibility of 6 additional places on the couch/bed for additional fee). TV. DVD player. Stereo. Video. There is a small furniture store on the ground floor (access to the store is on the other side of the house). Possibility of sitting and barbequing in the yard. A two-storey holiday home is located on the outskirt of Pärnu, on a quiet residential neighbourhood, just 600 m from the sea. the guests have at their disposal the first floor of the house (separate entrance) with a living room, recreational room, 3 bedrooms, kitchen, small shower room, WC. The interior is not modern, but is suitable for holiday-making. Sea with a small sandy beach is located ca. 600 m away. A modern 2 bedroom apartment for max. 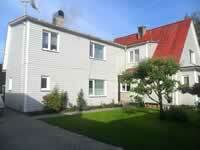 6 people in a quiet neighbourhood near the Pärnu beach area in a complex of houses with luxury apartments. The sandy beach is only 800 m away. The apartment is built through first and second floor (attic floor) of the house. On the lower floor there is a spacious living room with open kitchen. Access to 18m2 balcony which is sunny all day long. 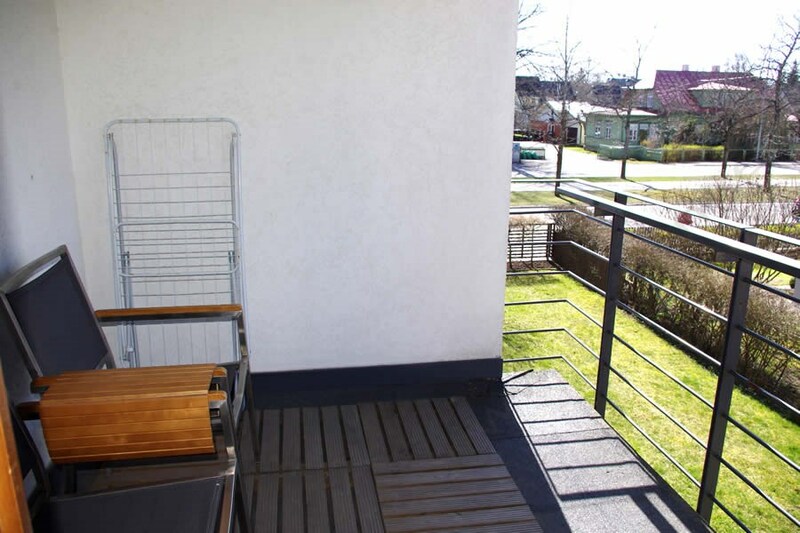 The balcony is furnished with garden furniture and chairs for sunbathing. The lower floor also has a sauna as well as shower room+WC. The upper floor of the house has 2 separate bedrooms and WC. Altogether the apartment has beds for 6+2 people. Closed yard. Parking in a closed yard (1 parking space, free). Possibiolity of parking also in a parking place next to the house (free). Next to the house is a new childrens playgound. A Holiday Apartment with SAUNA for max. 5 people in a quiet neighbourhood near the Pärnu beach area in a complex of houses with luxury apartments. The sandy beach is only 800 m away. The old town is within 15 min walking distance. The nearest water park is 500 m away. The apartment is on the ground floor on the sunny side of the house. The apartment consists of a living room with open kitchen, separate bedroom, SAUNA, shower, WC. Access from the living room to a small terrace in front of the house (garden furniture). Possibility to keep bicycles in a closed space belonging to the house. The house has a closed yard. Next to the house is a new childrens' playgound. 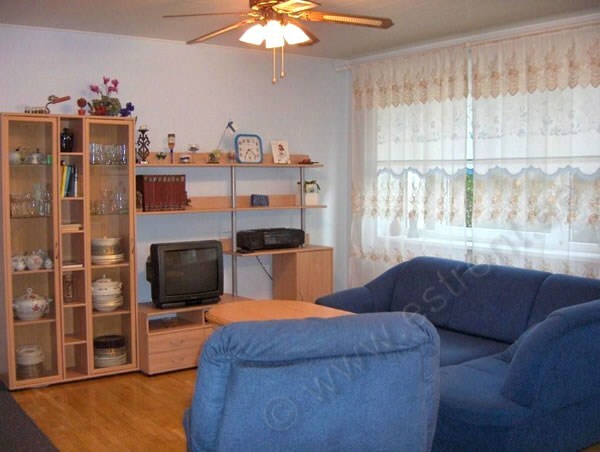 A bright and comfortable Holiday Apartment with a wonderful location in Kuressaare. Numerous freetime activities are within walking distance (cultural centre, theater, cinema, spa, sports facilities, shopping centres, etc.). Kuressaare has its own beach and golf course. 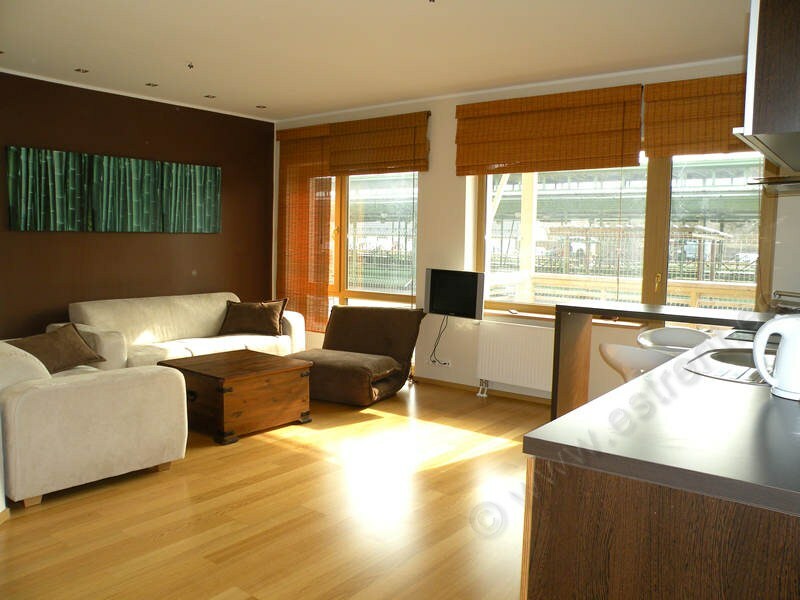 The apartment is located on the first floor of a renovated block of flats. The apartment consists of a living room, bedroom, kitchen , bathroom. SAT-TV, radio. Bathtub. Washing machine. There are 2+2 beds (a broad double bed in the bedroom and 2 couches in the living room). Also suitable for a more demanding taste. 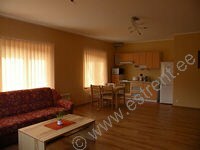 A spacious and light Holiday Apartment for 4 persons in the centre of Kuressaare on the beach near the SPA's. From the balcony there is a view to the bay and small boats harbour. The apartment is located on the 1st floor of a house built in 2008. The apartment consists of a spacious living room with a fireplace, bedroom, bathroom+WC. A parking place for one car in front of the house, additional places in the parking lot of the hotel. The sandy beach of Kuressaare is 500 m away. Numerous SPA's, beautiful old town and restored medieval castle, shopping centres, numerous pubs and restaurants are within walking distance. A 2 bedroom apartment for max. 6 persons in the BEACH AREA of Pärnu! The beach is only a couple of minutes walking distance away. Within a short walking distance are also numerous other possibilities for free-time activities – coffee shops, pubs, childrens' playgrounds, various sights in the old town. 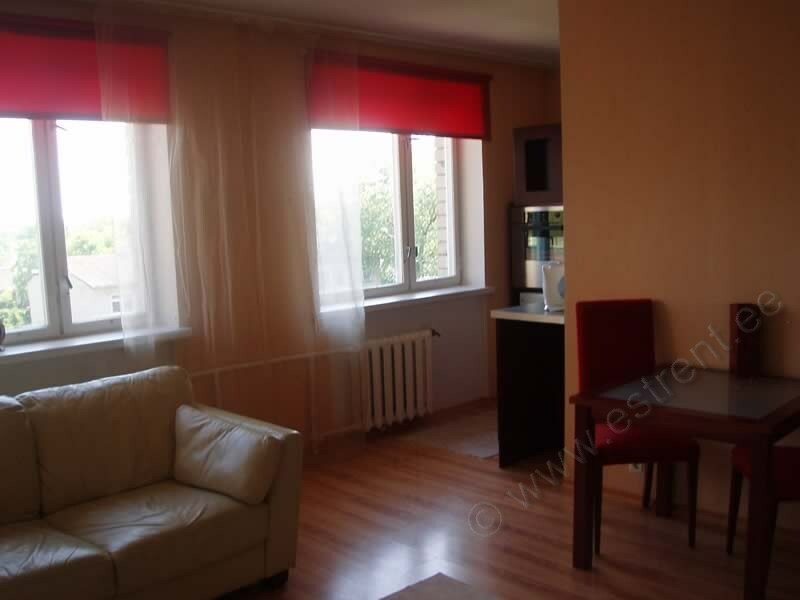 The apartment is located on the second floor of a bloc of flats in a quiet neighbourhood. 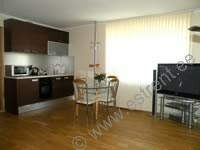 the apartment consists of a living room with open kitchen, two separate bedrooms, bathroom, WC. Tv. Music centre. Internet. Washing machine. Dishwasher. WONDERFUL LOCATION IN THE BEACH AREA, ca. 400 m from the sea! A modern studio apartment for max. 5 persons in the beach area of Pärnu! The most popular sandy beach (keskrand) is only ca. 400 m away. Within walking distance are numerous freetime activities: water park, SPA, cafes, restaurants, pubs, night clubs, etc. The apartment is located on the first floor of a small block of flats built in 2004. The apartment consists of a living room with open kitchen. Balcony (evening sun). TV. Home theater. DVD. CD player. Internet (WiFi) for own computer. Jacuzzi. 2+2+1 beds (two couch/beds, armchair/bed). Parking behind the house in a closed yard (place for 1 car, free). A 3 bedroom apartment for max. 8 persons right in the heart of Kuressaare! Everything you need for a holiday is within reach: within a couple of minutes walking distance are coffee shops, pubs, shopping centres, SPA, within 15 minutes walking distance the sea, beach, old historical castle/museum, small boats harbour. The apartment is on two floors and is located in an elderly rowhouse with 4 apartments. Behind the house there is a yard where you can sit and barbeque. On the ground floor there is a living room with fireplace. From the living room there is access to the terrace and yard. The ground floor also houses a kitchen and WC. On the first floor there are three separate bedrooms with altogether 7 beds and a renovated bathroom. TV. Internet for own computer. Possibility of parking next to the house (1-2 cars).